If you aren’t reading Sarah M. Cradit, you should be. Here’s what’s coming for her over the next several months. From time to time, I like to check in and let readers know what I’m working on. The Secrets Amongst the Cypress (House of Crimson & Clover Volume 8)– The first draft is complete, and I’m preparing to jump in for the next phase, which includes a lot of edits and rewrites. The cover reveal for the book is coming on July 31 (as well as the pre-order links), and it releases October 25th. The story involves Jacob and Amelia’s travel back to nineteenth century Louisiana. Text Message Serials– My co-writing murder mystery series/serial with Becket has one book complete (The Bee in the Golden Spiral) and a second in development. We will be announcing our publishing plans for this in the not-too-distant future, so stay tuned! 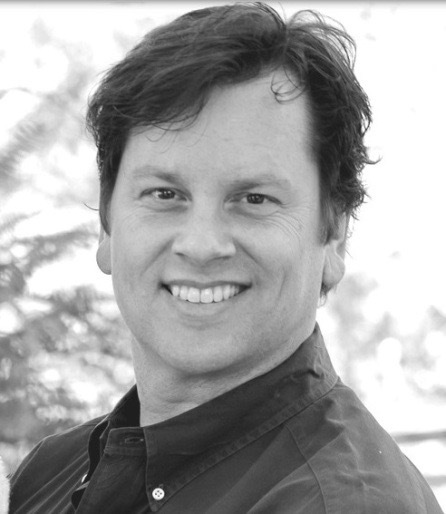 A few weeks ago, I was able to snag an interview from the awesome and very interesting Dan Alatorre. Aside from having a really cool last name, Dan is the author of numerous bestsellers, host a YouTube show, Writers Off Task With Friends, and has helped several up and coming authors (myself included) learn the ropes of self-publishing. Today’s a special day for Dan because his newest book, The Navigators released. I was privileged enough to get to read this book (review to come soon) and let me just say…thrilling. You don’t want to miss it!! But first, let’s read about Dan’s writing process. Pinterest, Instagram, Goodreads… just search for my name. I can’t remember all that stuff. I’m terrible at that. Terrible! I come up with the WORST character names. Look at The Navigators. Barry… Melissa… Yawn. I have a friend who comes up with great names. I’m going to have her name my characters from now on. In Poggibonsi, I had to change the wife’s name three times because everybody hated it. Each time I changed it, my critique partners said, “Thanks. I hated that other name.” Now I just use the names of the kids in my daughter’s kindergarten class, picking them at random. Honey, who’s that boy in your class with brown hair? Jimmy? Jimmy’s my next male character name. It’s still awful but at least it’s faster now. I only talk about the nonfiction characters as if they are real. Um… nonfiction… yeah, that’s right. Because they’re real. The fictional characters – I totally get that they become your “friends” and all that, but no. Mine are in my head and on paper, and not, you know, running around coming to lunch. That’s not how I roll. Not judging authors who do that. Okay, a little, because it’s freaking crazy – all due respect to authors who do that. Get help. They’re pretend. No, no music. I know LOTS of authors who do that, and I kinda wish I did, because it’s cool. They are cool for doing that, getting all up in their Pandoras and everything. I can’t. When I started writing it was because my infant daughter needed a bottle and I couldn’t fall back to sleep after feeding her. I wrote in the near-dark, at 3am and 4am, and didn’t dare make a sound for fear of waking her back up and getting even less sleep. After a few years of that, you don’t need Pandora. I usually write in my office in silence except for occasional swearing at the computer. I occasionally drag my laptop to the kitchen table and write while watching TV, as in, I’m writing and a football game or news program may be on, so I can be aware of outside world events, but also because it helps me stay awake when I’m on a roll. Not long enough, according to some readers; way too long according to others. I started writing about five years ago and published my first book Savvy Stories, a collection of humorous anecdotes about babies and childhood, about two years ago. I was very lucky it did well, and I’ve been writing ever since, only now with fewer typos. 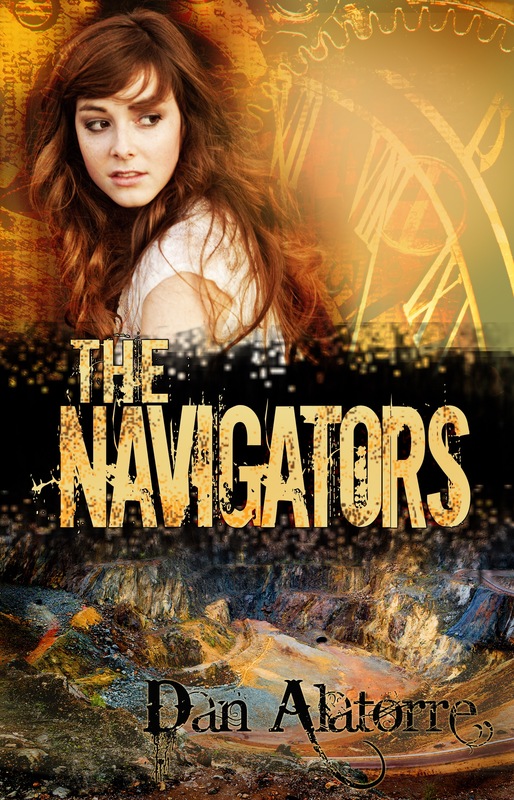 My first novel, The Navigators comes out in June 2016. It’s awesome. You can quote me on that. I’m looking forward to that day. Actually, I was always a talented writer. That’s not mean as a brag; people always told me I was good at it, naturally making even work reports interesting. It’s a gift. When I started posting humorous anecdotes on Facebook about becoming a first time dad when most of my friends were sending their kids to college or posting their kids’ wedding pictures, they enjoyed vicariously re- living the baby years through me, and encouraged me to write a book. I kept saying no, and finally broke down and wrote a chapter to show them how bad it was. Instead, they loved it and support for a book grew, and the rest is history. 17 titles later (in 12 languages), somebody likes my stuff. Yes. For the Savvy Stories book series, it was a few of my female high school friends rolled into one composite person. For The Navigators it was a very specific person, and for the other books it’s basically that same muse. It sounds odd, but when you write to one person, or as narrow an audience as you can, you’ll do well. Write to your mom. Write to your wife. Find one person and write the book to that one person, because when you attempt to appeal to everyone, you appeal to no one. In some books, I am writing to my six-year-old daughter for when she gets to be the age of the main character, subtly suggesting lessons and guidance. Shh, don’t tell. I connect with writers better than I am through a critique group and hound them mercilessly until they give in and help me. Honest. That probably won’t work for everyone but I have an honest face. I don’t read much, unless you count reading works by new authors, and then I read a LOT. I am also a critique partner for a few GREAT writers, including one New York Times bestselling author. I go to the Florida Writer’s Association conferences and will be doing a roundtable discussion at the FWA conference this fall in Orlando. If you’re in town, stop by. The EPCOT food and wine festival is going on the same time, so it’s a party. No, no, no. I never talk about WIPs! That’s bad luck. Okay, so I may have a few writing quirks and superstitions. I am reading two novels by friends, helping them edit. Both are very good friends so I’ll say both are very good books, but really only one is and now they have to guess which one. Actually, I am about to start editing the second book of a friend’s trilogy, and I’m in the middle of two other very good books I’m critiquing. This is a fun one. I started in nonfiction humor and decided to write a story in each genre hoping to either find one I enjoyed or was good at. I’ve done romance, fantasy, sci-fi, paranormal, children’s books, cookbooks…If I had to only write one genre for the rest of my life, it’d be romantic comedy. I love making people laugh and we all tend to find the same universal things funny if presented properly. Plus, I’m really good at it. I’ve put people on the floor. Intentionally. My fans think I’m quite the romance writer, though. None of that, really, but hear me out. Before I really start writing in earnest, I have a beginning, a middle, and an end to my story. We may not go where I think we will, because I allow myself to be completely creative when I’m writing, but we have a target and an ending. If I come up with something better, a different ending, I’ll change it and go with the better one, but at least I have one. I feel “pantsing” – the alleged art of writing by the seat of your pants – is the main reason for writer’s block and why so many books never get completed. That doesn’t mean it can’t be done; many great works are written without the use of an outline. Just not mine. Since I have the characters so deeply rooted in my head, no character profiles are needed, but I’m open to an author doing whatever they need to do to get the story out of their head and into the computer. You wanna make sure that if Barry’s nervous habit is biting his nails, he does it in chapter one, chapter 15, and chapter 36, and doesn’t stop somewhere along the way or start having an eye twitch. Unless the story is how he’s degenerating from some neurological disease. Then that’s different. Yeah. Sorry, pantsers, I use a simple outline of beginning, middle, and end, so I know how the story ends before I start writing. I allow myself to have a better ending if I think of one, but I have at least one before I start out. You know, no interviewer has ever asked me that. Good for you. Bonus points. The answer is YES. Several of my stories have messages on different levels, but you can read them just for the main story and never miss anything. No, but I drink Crystal Light peach green tea by the gallon, so maybe that counts. But it’s not part of writing, it’s part of living. I am totally and completely devoted to my amazing daughter, so I go to all the field trips and stuff. It’s amazing to be around lots of little kids. They so smart and curious and open to ideas. It will refresh your energy while simultaneously wearing you out. I’m also very invested in helping new authors get over the numerous hurdles they face in writing, so my critiquing and blog and marketing books series address that. Gosh, lots of things. I went to President’s Circle with two different Fortune 500 companies. As a manager I was able to help people make more money than they’d ever made before in their entire lives. I swam with sea turtles in Hawaii and sharks in the Bahamas, rode a dolphin and came face to face with a baby humpback whale. I cracked a tooth eating a frozen Chiclet on a glacier in British Columbia and gazed in absolute awe at the beauty of the Grand Canyon. I’ve been shot at (more than once) and I rescued two girls who were about to drown in the Gulf of Mexico. I was a drummer in a rock band. I took a single engine boat to Key West in six foot swells that could have easily sunk us. I created the largest social media group in the world for a rare heart condition, helping thousands of families in dozens of countries. I’ve helped a new writer launch a bestseller and opened the eyes of other new writers as to how to make their novels terrific. I’ve fallen head over heels in love, had my heart broken, and lived to tell about both. We can be this far into an interview and you can still ask that? One paragraph, huh? Hmm. Well, how about a conversation from The Navigators? “Hmmm.” Melissa closed her eyes, appearing to postulate on the idea. If you’re a fan, thank you; if you’re not yet a fan, don’t worry, you will be – there’s still time. And if you’re a writer, I believe everyone has a great story in them that they can tell. Get it out of your head and into the computer. It has been my great fortune to be able to make readers laugh and cry, on purpose, sometimes on the same page; to hold their breath, swoon, and/or be afraid. I play my audience like a piano – and they love it. Thanks so much, Dan. Good luck with The Navigators.